Mark Carney’s departure from the Bank of England looks to be a much less celebratory affair than his initial appointment to the role. When it was announced he would take over the position in 2012, he was lauded as “the outstanding central banker of his generation” by then-Chancellor of the Exchequer George Osborne. Since then, many have come to view him much less favourably. Carney’s fall from grace appears to be yet another consequence of the UK’s decision to leave the European Union. While the timeline for the withdrawal process remains elusive – if even guaranteed – the vote in June last year has already claimed its fair share of political causalities. Former Prime Minister David Cameron resigned immediately after the vote, while key figures of his cabinet were soon culled from office by his replacement, Theresa May. Carney is another victim of the vote, albeit delayed. While not forced out by Brexit itself, the referendum and the politics surrounding it changed the feeling towards him and the style of administration he represents. Carney has now confirmed he will be leaving his post as the Governor of the Bank of England in June 2019. Born in the Northwest Territories of Canada in 1965, Carney carved out a long career in the world of economics and finance. Although he attended high school in his native Canada, he pursued his higher education south of the border, in the US. In 1988, he graduated with honours from Harvard University, having majored in economics, before crossing the Atlantic to attend another elite, English-speaking university: Oxford. Through the early 1990s he pursued first a master’s degree and then a doctorate, both in economics, from St Peter’s College, Oxford. With the conclusion of his studies, he first pursued a career in the private sector, working for Goldman Sachs. His 13 years at the firm took him all over the world, working in Tokyo, London and Toronto. His various roles saw him involved in the process of bringing post-apartheid South Africa to the international bond market, as well as guiding post-Soviet Russia through its 1998 financial crisis. Carney, however, soon departed from the world of private finance. In 2003, he became the Deputy Governor of the Bank of Canada, and between November 2004 and October 2007 he served as Senior Associate Deputy Minister and G7 Deputy at the Canadian Department of Finance. In 2008, he went on to serve as the Governor of the Bank of Canada, before leaving the role in 2012 and assuming his current position as Governor of the Bank of England. Carney has always maintained he had not broken central bank independence, claiming his warnings on the potential outcome of a British withdrawal from the European Union were just a part of his job; he had a duty to inform the public of the likely results of such a momentous decision. Yet, if a Bank of England governor were to offer up his prognosis of a political party manifesto in an election, it would be classed as a serious offense and breach of central bank independence. Surely, some argued, Carney’s actions were no different. 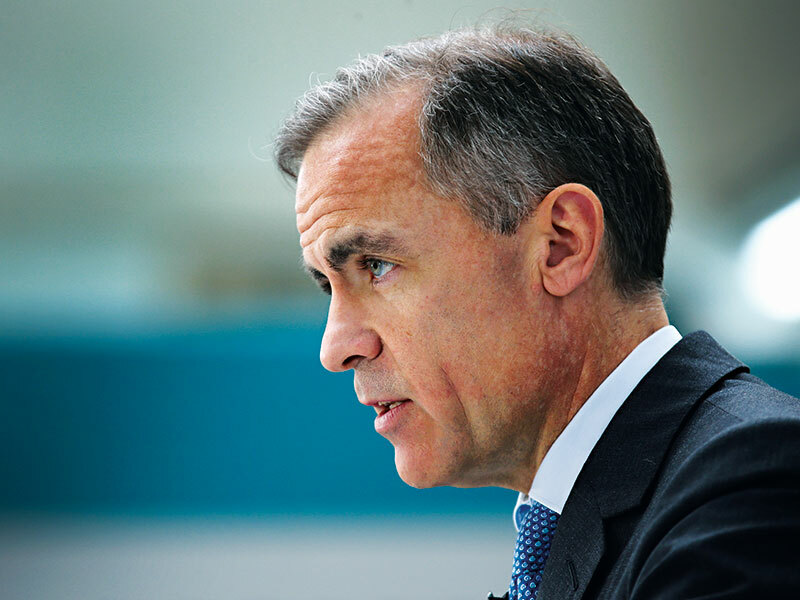 Yet for many, Carney’s foray into politics cast a dark shadow over the Bank of England. Most vocal in his condemnation was the Conservative MP Jacob Rees-Mogg. In a Treasury Committee meeting soon after the referendum, Rees-Mogg – a well-known Eurosceptic – suggested Carney had damaged the reputation of the Bank of England by making forecasts concerning the economic consequences of Brexit: “Did the Bank of England consider whether it was in the public interest to risk its reputation for impartiality?” Carney attempted to brush off the attack by noting that those who had criticised his handling of Bank of England policy before the referendum should “consider their own motivations and their judgements”. Yet Carney’s foray into this divisive political question cannot be named the single cause of his being cast out of favour. The politics that is often seen as having driven the Leave campaign is at odds with Carney’s views: a through-and-through technocrat, his expert-style managerialism and post-national ethos is out of step with the new political environment in which the UK finds itself. Central bankers are supposed to be independent; free from politics, adhering only to a strict doctrine of technocratic management. Many have often dismissed this as fantasy, but of late the very foundations of central bank independence appear to be cracking. In a world where citizenship and national loyalty once again matter, questions have been raised over the viability of a non-national acting in such an important national role. However, as long as the idea of central bank independence is adhered to or believed in – and while it is accepted a governor is just a technocratic manager, making his or her decision on a purely objective basis – nationality should not matter. Writing in The Telegraph, William Hague, the one-time Conservative Party leader and former Foreign Secretary, argued: “Central bankers have collectively lost the plot. They must raise interest rates, or face their doom.” Even the architect of the UK’s central banking independence is reviewing the issue: Ed Balls, the erstwhile advisor to Gordon Brown and former Shadow Chancellor, has, alongside Anna Stansbury and James Howat of Harvard University, argued the Bank of England needs greater political oversight to ensure it does not fall victim to groupthink. During the US presidential campaign, Donald Trump also attacked the US central bank’s independence. He regularly chastised the chair of the Federal Reserve, Janet Yellen, for keeping interest rates low. At one point he said she should be ashamed for the Fed’s low interest rate policy, accusing her of creating a false economy. Going one step further by questioning not only the doctrine of central bank independence but its very practice, Trump at one point accused Yellen of working with President Barack Obama in some sort of conspiracy. While Theresa May’s jibe over international citizenship was not explicitly directed at Carney, the Canadian governor must have felt its impact – and adding insult to injury was the fact his very policy was also attacked in the same speech. In what must have felt like a general loss of confidence in his ability to function in a post-Brexit world, it was rumoured Carney had seriously toyed with the decision to step down. Indeed, many media outlets urged him to do just that. Although he has not bowed to pressure to leave his post early, his departure will come at the same time as (according to UK Government’s ambiguous plans) the UK’s departure from the EU in the first half of 2019. While having a practical reason (Carney stressed the importance of maintaining continuity during the exit negotiations), the date is, in many ways, symbolic. Carney is now operating in a world that is increasingly turning against the values he represents and holds: a technocrat who disavows ideology; a transnational figure who feels citizenship in one state doesn’t preclude service to another; an expert who imagines himself to be engaged in science, not politics; an appointed official who feels he should be insulated from the passions of public opinion. As a Davos man in a world where the values of Davos are increasingly sneered at or attacked by electorates, Mark Carney is now set to have his own personal Brexit. Carney was born in Fort Smith in the Northwest Territories, Canada. He attended high school in Alberta before moving to the US to study economics at Harvard University. Following 13 years working at Goldman Sachs, Carney served as Senior Associate Deputy Minister and G7 Deputy at the Canadian Department of Finance from 2004 to 2007. After working as an advisor to the retiring Governor of the Bank of Canada for several months, Carney took up the position himself in February 2008, serving in the midst of the financial crisis. Carney took up the part-time role of Chairman of the Financial Stability Board. He credited his appointment at the international body to “the strong reputation of Canada’s financial system”. In November, George Osborne announced Carney would be the next Governor of the Bank of England; Carney would be the first non-Briton to hold the post. After being accused of making pro-Remain remarks during the UK’s Brexit campaign, Carney announced he would be stepping down from his position at the Bank of England in 2019.